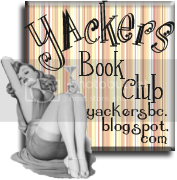 Mattie is sixteen years old in the year 1906 and living in a small farming community in the Adirondack mountains. She is a very strong protagonist and or any lover of words, Mattie is a joy to read because she sees stories everywhere she looks. I've never read a novel where the protagonist has such a clear voice or such a vivid imagination. Comparisons have been drawn between her and Louise May Alcott's Jo and I can see why, although Mattie lacks Jo's sometimes selfish nature. However, she is no less driven both in her personal ambitions and her care for her family. I particularly loved Mattie's ability to truly see what was happening around her. She is, like any good writer, an observer of life and all its minutiae. Her struggle with the life she feels obligated to follow as opposed to the one she believes she should have as a writer, and her absolute conviction that she should be able to choose what life she leads, is hugely compelling. The supporting characters in A Gathering Light are no less interesting. Weaver stands out as the only black man in a small community and his frustration and passion are very moving, as is his relentless encouragement of Mattie. I also liked the character of Royal. It would be too easy to dismiss him as selfish and domineering. Rather, I felt that his passion for the land he worked matched Mattie's passion for words and that he, too, was trying to lead the life he felt he deserved. Of all the characters surrounding Mattie, however, it was her father who drew me in the most. A gruff man, desperately trying to support his family while grieving both the loss of his wife and the departure of his only son, he made me feel incredibly sad. While often almost cruel to his children there is no denying his love for them and ultimately his deep understanding of his eldest daughter. What makes A Gathering Light really stand out character-wise, though, is it's portrayal of a community as a whole. More than anything, these people are defined by where they live and how they work. From their acceptance of Weaver to their consideration of the poorer members of the community I found their actions fascinating. Although I know little about turn of the century America, I would assume that the ability of communities to work together in this way tipped the balance when it came to surviving the long winters and back-breaking summers. The author's ability to combine all of these characters, their community and an ambitious young girl fighting against societal constraints would be impressive enough but her inclusion of the real-life murder of a young woman takes A Gathering Light to a whole new level. Mattie's own struggle is amplified in the letters of Grace Brown and when their story finally weaves together the result is very poignant. It is done with such skill that I found myself forgetting that while Grace and her words very much existed, Mattie was just a fictional character. 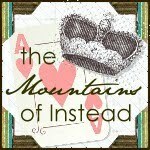 I don't do historical fiction – I really don't. I would never have picked this up had the publisher not sent me a copy and so was surprised that once I started reading it I could not put it down. Jennifer Donnelly's writing is exceptional with her pitch-perfect tone allowing an easy immersion into the period setting. Rather than feeling like I was wading through history, I felt like I was being allowed a privileged and crystalline peek into a world that I would never have otherwise considered. Mattie's struggles may be very much of her time but they are also timeless in their themes of family, identity and growing up. Those of you who enjoy contemporary YA may well enjoy this period take on recognisable issues. 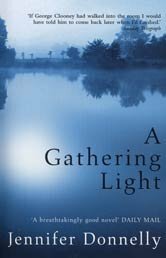 A Gathering Light is a novel that will stay with me for a long time, an incredible feat of storytelling and one which I highly recommend. Oh, Faithful is also one of those turn-of-the-century stories that is quite similar to this - you'll like it (if you haven't yet read it). Great review! I really enjoyed this too, can't wait to start Revolution! I have a review of Revolution coming up in a few days - it is even better than A Gathering Light, absolutely blew me away! Wow, this sounds like a wonderful book. I also have to admit that I don't normally go for books like these, but your review, particularly your mentioning of the community portrayal will probably have me giving this one a go at some point in time. A lovely, well-thought out and fantastically written review as always.